Members of Aspergillus section Nigri (formerly A. niger group) are distributed worldwide and are regarded as common food spoilage fungi. Some of them are widely used and studied for industrial purposes. They are common sources of extracellular enzymes and organic acids to be used in food processing and are also used in the production of traditional foods, especially in the Orient. Products produced by strains of Aspergillus niger hold the GRAS (Generally Recognised As Safe) status from the FDA. However some species in Aspergillus section Nigri can produce ochratoxin A, a nephrotoxic mycotoxin. In spite of their industrial importance, the taxonomy of black aspergilli (Aspergillus section Nigri) is not clear and many attempts have been made in order to find suitable taxonomic criteria. 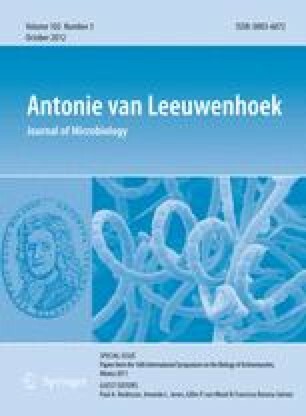 The aim of this paper is to provide an overview of the significance of black aspergilli focusing on all the approaches made in the taxonomy of this group of fungi. Some species, such as A. carbonarius and uniseriate species can be easily recognised. In the A. niger aggregate, although speciation at molecular level has been proposed, no morphological differences can be observed and species identification will therefore remain problematic. Phylogenetic analyses of ITS and 5.8S rDNA gene region of representative black Aspergillus species and a simple key to the most common species that can be easily distinguished by morphological criteria are also included. Aspergillus section Nigri taxonomy Aspergillus aculeatus Aspergillus japonicus Aspergillus carbonarius Aspergillus niger aggregate black aspergilli ochratoxin A.